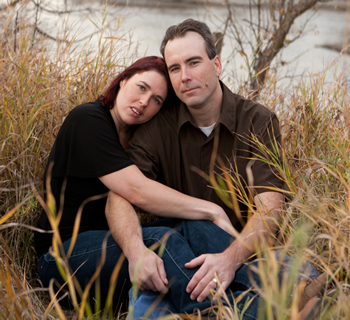 Meet the Hedgeville People . . . 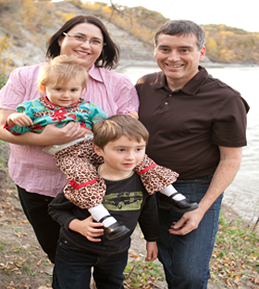 In his youth Wayne worked for our local pipeline and the PMU Pharmaceutical Plant (Wyeth) in Brandon. However, all through those years, he has also been farming. Much of Wayne’s time is spent choring and on the tractor but when he is not, he lives and breathes horses and is an excellent trainer. His passion is Endurance and Competitive Trail competitions. Many of Wayne’s horses have excellent performance records in both events. He is also our Belgian expert and enjoys driving his teams through the bush and snow!! Anytime’s a good time for a sleigh ride! Wanda is a physiotherapist by day, and operates her own clinic out of Brandon. Her nights are spent caring for and training her horses. Her expertise is the Arabian breeding. If you have a question about bloodlines, Wanda is the one to ask. Her favourite time is spent taking her weanlings through Pat Parelli’s training process (with a few good tricks of her own!) and going for a leisurely ride. Most of the Arabian mares and stallions are the results of Wanda’s complex breeding plan. 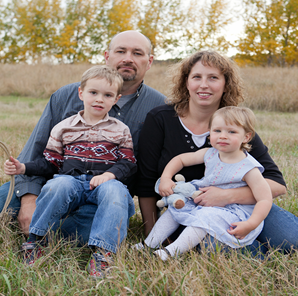 Practically born and raised in the barn, Alan couldn’t image any other life than farming. 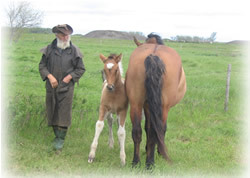 In addition to his Percheron and Paint horses, Alan has over 2000 acres of organic farmland and 150 plus head of organic cattle. 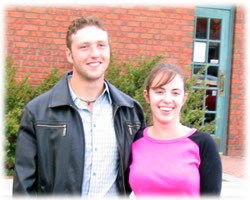 Al is married to Shannon, who also rides, trains, and helps with their horses and farming. They are the proud parents of Zac and Adi. Shannon has been collecting ponies and minature animals.! Tanya operates her own full time massage therapy business. Much of Tanya’s adventures in life have involved world travel; having spent time in Europe, Australia and New Zealand and she spent considerable time learning and training at various stables. 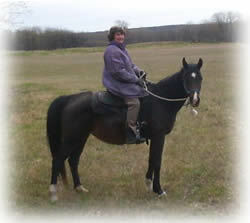 Tanya enjoys Endurance, Competitive Trail, Equitation and English and Western Shows. 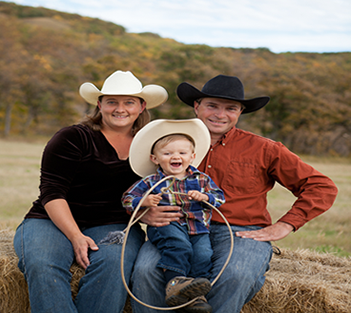 Tanya lives just a few miles from Hedgeville Farm with her husband Don and young cowpoke Dylan and cowgirl Kaitlyn. Tammy is the Hedgeville scholar. She has her doctorate in psychology, specializing in animal behavior and is now a professor at Brandon University. 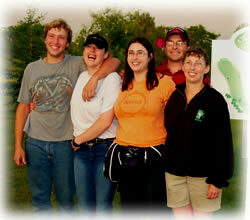 Tammy is very involved with the dressage in the Westman area. 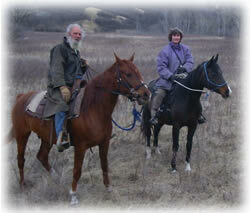 Tammy, her husband Marcel and son Adrian, and daughter Eden, all enjoy working with and riding horses. Terry makes her living as the corporate parts manager of the local CaseIH dealer and her clients describe her as indispensable. Her spare time is often spent on training riding horses for the dressage, jumping, endurance and competitive trail. Terry competed in the dressage portion of the MHC East vs West Championship and the Westman Dressage Shows. Terry and her husband Bill live a few miles from Hedgeville Farm. Mike is the baby of the family, Mike joins Wayne and Alan in the field. Mike also enjoys leisurely pleasure rides and working cattle. Recently, Mike and his wife Laura put a new house on the "homestead" - beautifully set against the trees, Mike and Laura will carry on the family farm for years to come along with their sons Logan and Conner!